"For strong, powerful skiers with wide feet, there’s simply no other choice. You need the stiffness and strength of a strong boot to steer your skis. 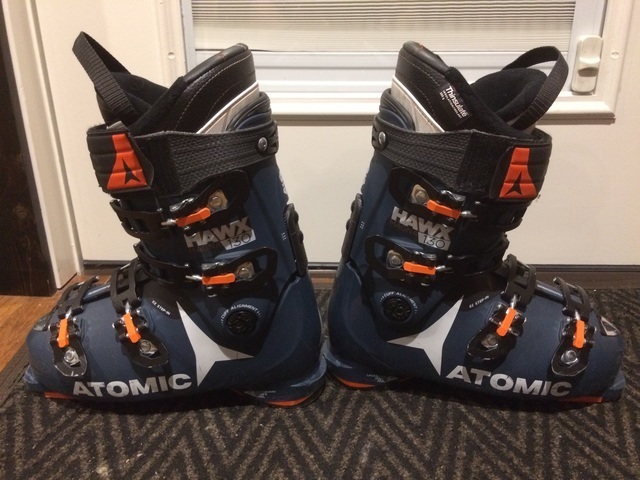 The Atomic Hawx Magna 130 S packs powerful performance into a surprisingly lightweight boot with a 102mm last. The Legendary Hawx Feel – in a ski boot that won’t sacrifice an ounce of on-snow performance. It’s got a fit that can’t be beat thanks to the pre-shaped Memory Fit 3D Gold Liner and the Memory Fit process customizing the shell, cuff, and liner. Power Shift provides the chance to tune your forward lean. Added benefit for the Hawx Magna Series: Easy Step-in and a wide tongue, making getting in and out of the boot a breeze. If you’re a strong skier with a wide foot, get ready to ski hard with the Atomic Hawx Magna 130 S".